Eyes are the mirror of the soul. Therefore it is not surprising that ladies are looking for different ways how to make the eyes bigger and more expressive. Large and expressive eyes are considered one of the most important conditions under which a woman is called beautiful, but by nature they are not given to everyone. Fortunately, for thousands of years of perfection in the art of enchantment, women have learned to create beauty literally from scratch, thanks to the possibilities of cosmetics - the art of decorating and improving the appearance of a person. #1. Use colored magnifying lenses. This trick was invented by the Korean women. To make their naturally thin eyes bigger, they wear lenses with an enlarged iris. #2. Brighten the corners of the eyes and the area under the eyebrows. According to the laws of color, dark shades visually reduce everything, while light colors can make your eyes bigger. #3. Apply makeup correctly, especially an eyeliner. One of the most unforgivable mistakes in makeup is to frame the eyes using a black liner. #4. Put a light line on the mucosa of the lower eyelid. A soft pencil of pale pink or cream colors, applied to the mucosa of the lower eyelid, not only visually increase the eyes, but also hide the signs of fatigue. #5. Try a blue, purple or turquoise liner. These cold saturated colors will make your makeup brighter, and your look more expressive. #6. Emphasize a fold of the eyelid just above the natural line. If you do this with the eye shadows for several tones darker than the basic shade of the makeup, your eyes will become more expressive. #7. 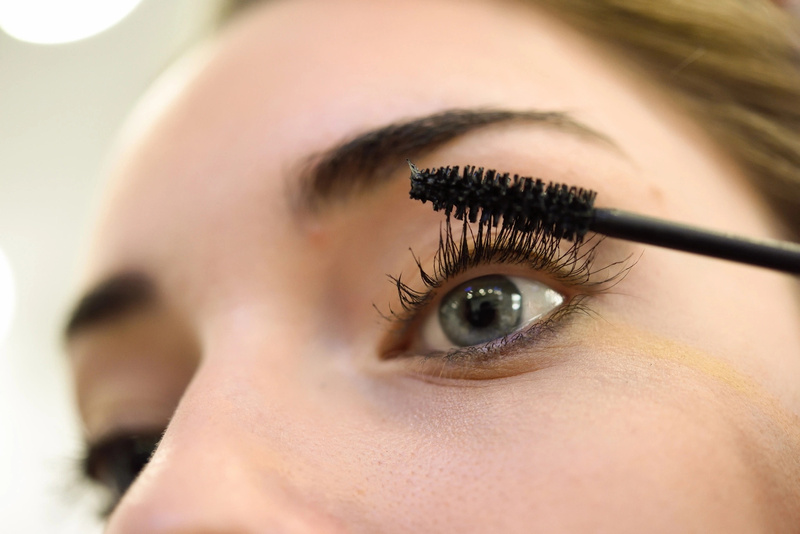 Add volume to your eyelashes. The thicker and longer the eyelashes are, the bigger your eyes look like.